On Nov 17, we will be hosting our first Encore! Sandstone Art Market, an event that encourages folks from the region to shop for handmade/hand-created works of art (of many types) for gifts and decorations for the holidays and beyond. All items must be under $100. 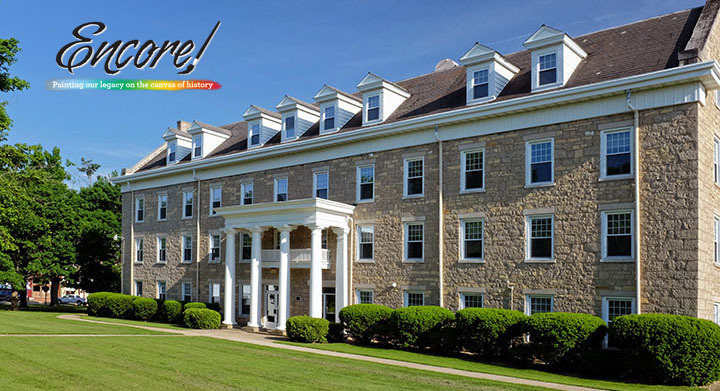 Of course, we realize you probably have many wonderful pieces over that amount, but the focus of this event is to bring a wide range of original, unique, and more affordable items to area enthusiasts. Perhaps you have some smaller pieces that you would like to get out of your basement? Or have needed a reason to create some smaller items you've been wanting to try? Or create items in that price range routinely? Why not bring them to the Art Market's new audiences? 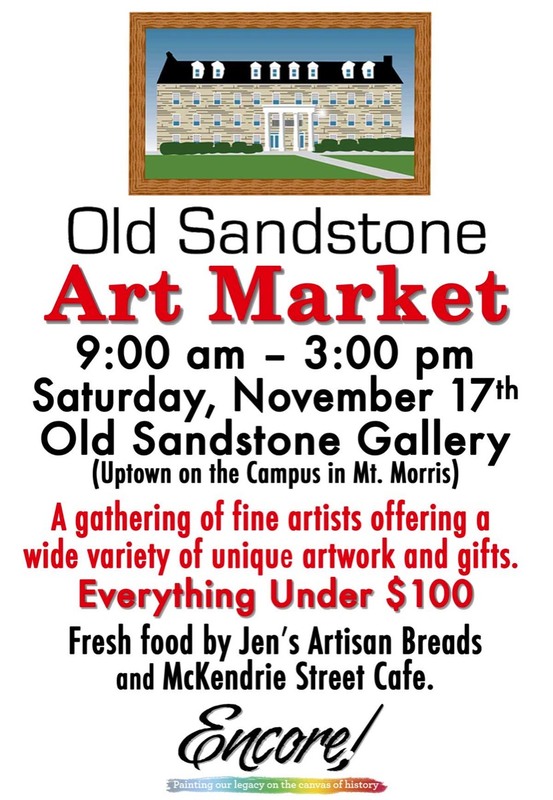 The Sandstone Art Market will be held in the Old Sandstone Gallery and the next door Coliseum in downtown Mt. Morris on Nov 17, 9am-3pm. The vendor fee is just $20, to be split between the gallery and Encore! to help fund our future art events. We will not be taking a cut of your sales. The venue for the Sandstone Art Market will be indoors, so will go on rain or shine. Nearby parking is available. Bring your own table and chairs. If you plan to bring any other display racks, please describe them and their size so that we reserve an appropriate size booth for you. Deadline for registration is Nov 10; early registration is encouraged! Business What do you call your business? Type of Art What will you offer for sale?